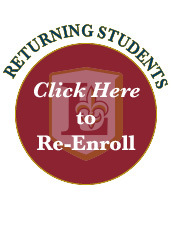 Click the button below to begin the online application process. This system will walk you through the application. Please note that there is a $30 non-refundable fee when you submit your application. Once we've received the application, we will request grade transcripts, behavior and attendance records from your current school. Feel free to visit our Admissions Process page for details of what to expect next. We are so excited to get started on welcoming you to the family! Call or email Deidre Barnett, Director of Admissions, at 317-787-5474, option 3 with any questions.